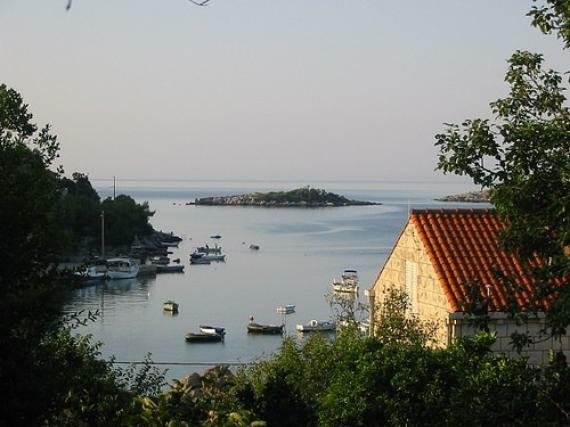 Molunat is the southernmost tourist destination in Croatia, situated 20 km south from Cavtat in the bay formed by the peninsula Gora od Molunta. It is a small tourist and fishing settlement ideal for a quiet family vacation away from the city crowd. You can enjoy in peaceful beauty of the untouched nature: sandy beaches, thick pine woods and beautiful blue sea; all bathed in the enchanting aroma of Mediterranean herbs and citrus flowers. The name Molunat comes from the Greek word for the port, molos. This fact along with many archaeological findings in the area confirms the theory that Molunat has been inhabited since the ancient times. The settlement became part of the Republic of Ragusa in the 15th century. Remains of the protective wall from that period are still raising from the inland part of the Molunat peninsula. Molunat is the perfect destination for tourists in search of an active vacation. There are numerous possibilities for recreation: diving, fishing, sailing or surfing with several paths ideal for mountain biking. Since there are no cold winds in the area, the bathing season in Molunat opens already in early May and the sea is pleasantly tempered until the late October. There are several daily bus lines connecting Molunat with Dubrovnik, Cavtat and the Dubrovnik airport, Ćilipi. Although there are no hotels in the area, you can always find suitable accommodation in one of the many private apartments. There is also an auto-camp Monika, located in the beautiful natural surrounding of the pine trees in close proximity to the sea and the sandy beaches ideal for children. Although Molunat is a small and rather isolated settlement, it offers a few options for the night time fun. There are several bars, restaurants and a shop. The only two Molunat restaurants have an enviable selection of quality wines and a rich gastronomic offer. Find information about selected Hotels, apartments and rooms in Molunat to choose the perfect place for your accommodation. ©2019 - dubrovnikcroatia.info All Rights Reserved.